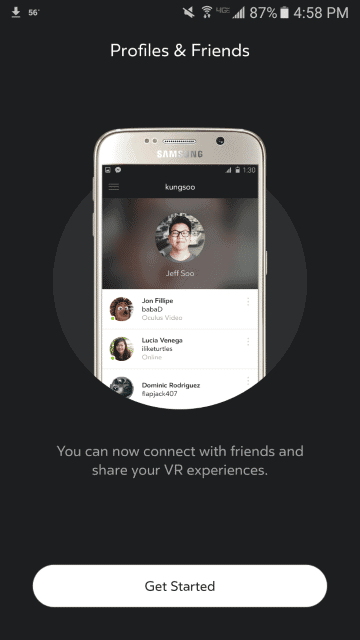 If you’re looking to experience Oculus with the Samsung Gear VR, you can’t just get started with the app without a VR headset. 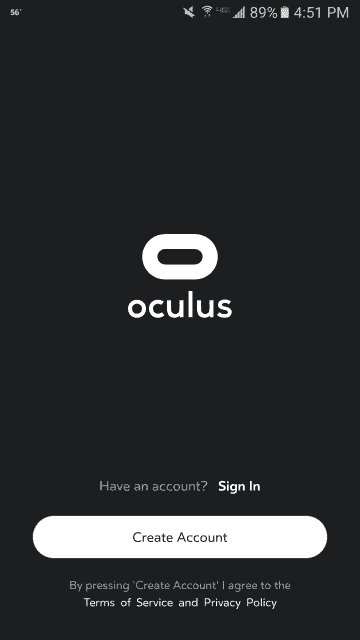 It’s not complicated to set up an Oculus Rift account, you’ll just need some time to do it and be prepared for the amount of data and storage necessary to use virtual reality with Oculus and the Gear VR. We’ll show you how to get started with Oculus and set up an account to experience virtual reality with the Samsung Gear VR. 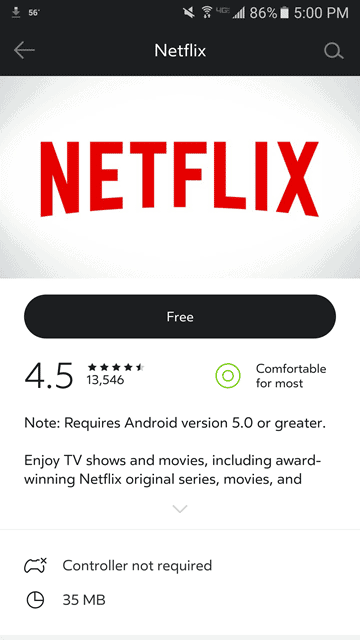 The most important thing to know is that you can’t even download or install the Oculus app on your phone until it’s plugged into the Gear VR. Take the time to secure your phone in place and then adjust your view in the headset before you begin. Note: Before you begin, we recommend being on a Wi-Fi connection and charging your phone to 100 percent. 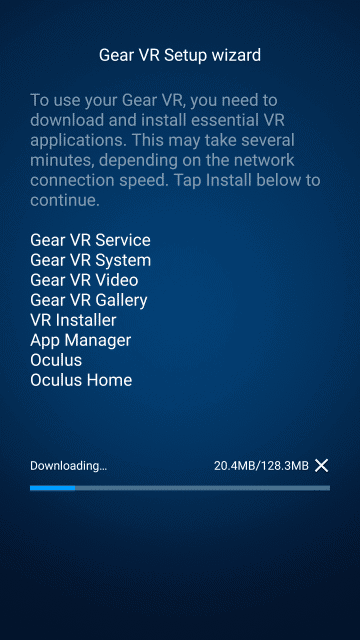 As soon as you’re plugged into the Gear VR, your phone will begin downloading, updating, and installing the Oculus app via the Gear VR Setup wizard. Depending on your internet speed, this could take a while. You’ll enter the normal information, such as name, email address, and a password. You’ll be given the Terms of Service to look at and approve of as well. If you received a free game or concept bundle, you’ll be prompted to download the accompanying materials right away. You can go ahead and click “Download all” to do so. Next, you’ll be asked to add a payment method. You can skip this for now but if you want to purchase paid content, such as Minecraft and other games, you’ll need a credit card associated with the account to do so. 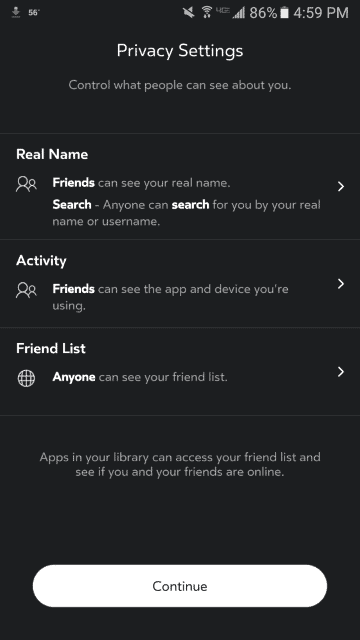 Then, you’ll create a profile for yourself so you can connect with friends who are on Oculus as well. From there, you’ll set up your privacy settings. 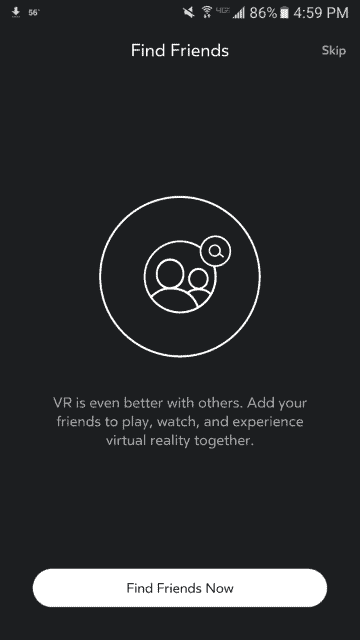 You’ll then be able to search for other friends on the Oculus network. 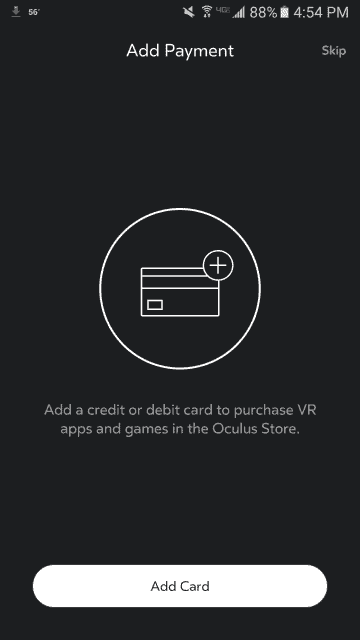 After setting up your profile and settings, you’ll be directed to the Oculus store. From here, you can begin browsing content, buying VR experiences, and finding things that interest you in the VR world. 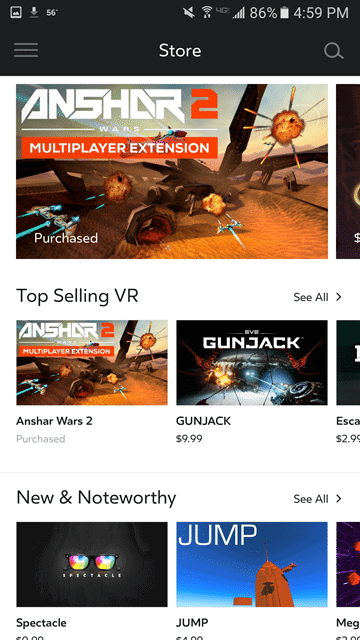 We recommend going through the store, downloading a variety of content from different areas so you can experience different VR content to find out what you enjoy the most. 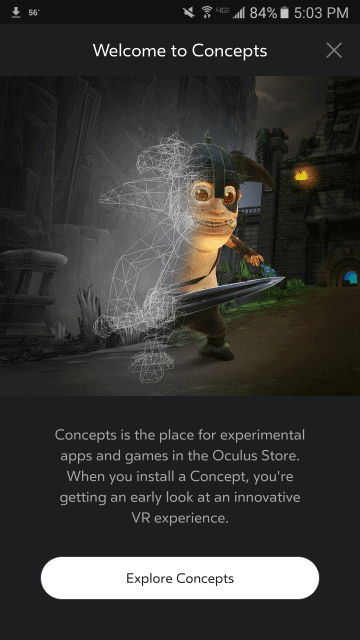 There’s a plethora of content through Oculus that is free, such as Netflix and concepts. Then, there’s content such as Minecraft and other games that come with a hefty fee. Note: Keep in mind that for many games on Oculus, you’ll need a Bluetooth controller to pair with your phone to play it. Make sure to check each game before you buy it. From there, the VR world through the Samsung Gear VR is yours to explore. Oculus makes it easy to get content on the Samsung Gear VR you want to enjoy in the virtual reality field. 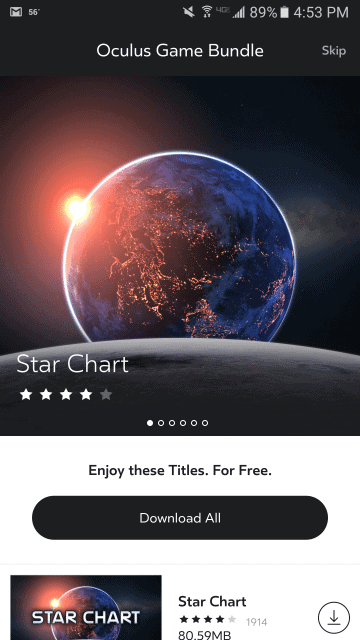 If you’re looking for free content, there’s a variety there to use, along with paid apps that make VR even more worthwhile. 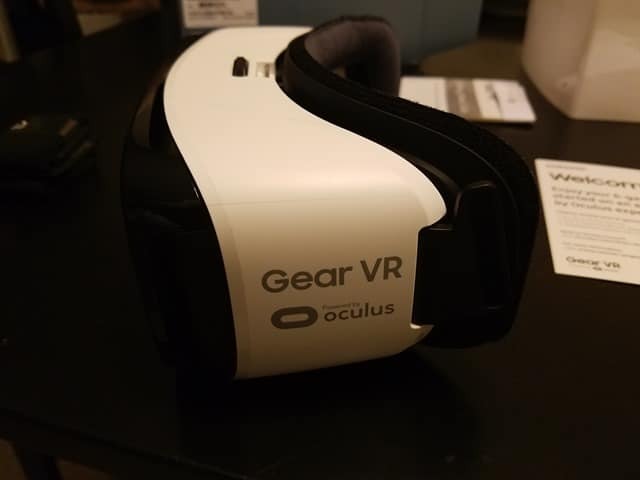 Getting started with Oculus and the Gear VR is easy to do as you can see from our guide.